14. 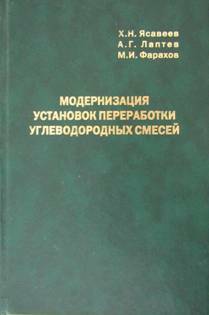 Dyakonov S.G., Elizarov V.I., Laptev A.G. 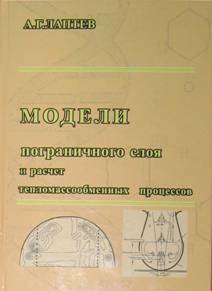 Theoretical fundamentals and modeling of fractionation.– Kazan: Kazan University press, 1993. 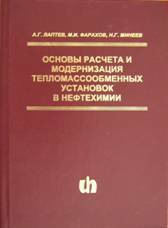 – 437 p. The monograph contains descriptions of the method of coupled physical and mathematical modeling for chemical engineering apparatuses used in industries. The method is based on representation of a physical process through a set of elementary phenomena possessing hierarchy of scales. Mathematical structure of the elementary phenomena is invariant with respect to both interactions between scales and scale of apparatus. Formulated is parametric interaction between phenomena; conjugation of the phenomena is carried out through variational formulation of conservation laws. The latter enables solution to the scale-up problem when designing heat and mass transfer apparatuses. 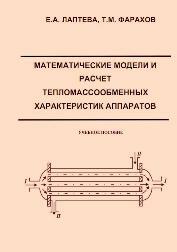 Elaborate derivations of proprietary mathematical models for heat and mass transfer processes in bubble-type, vortex-type, film-type and other types of apparatuses destined for separations of liquid mixtures as well as gas (vapor) mixtures are given. Proposed models can be used for diagnostics, controlling, designing and redesigning of mass transfer apparatuses. 15. 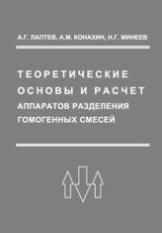 Gazizov R.A., Amirkhanov D.G., Gumerov F.M., Bilalov T.R., Gabitov F.R., Gil’mutdinov I.M., Radayev A.V., Khasanov A.A., Khairutdinov V.F., Sabirzyanov A.N., Maksudov R.N., Sagdeev A.A., Usmanov R.A., Mukhamadiev A.A. 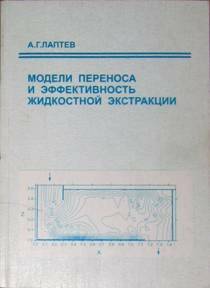 Practical guide on principles of supercritical fluid technology. – Kazan: Butlerovskoe nasledie, 2010. 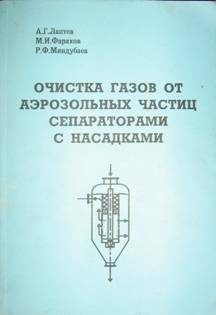 – 452 p. The manual contains guidelines for laboratory exercises on supercritical fluid technologies, tasks for students prepared for various sections of the course “Fundamentals of supercritical fluid technologies” as well as several appendices. 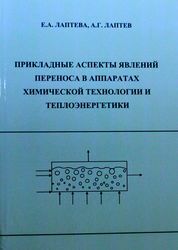 The appendices contain: a computational code for solubility of substances in supercritical fluid media, a table of critical parameters of substances most widely used as supercritical fluid solvents and extractants, a list of the US patents related to supercritical fluid technologies, as well as a list of publications on supercritical fluid technologies in the timeframe between 1991 and 2002. 16. 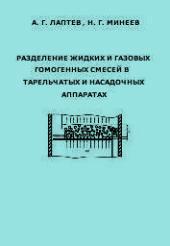 Laptev A.G., Farakhov M.I., Mineev N.G. 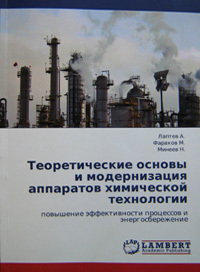 Theoretical bases and modernization of devices of chemical technology. Increase of efficiency of processes and power savings. – Germany: LAP LAMBERT Academic Publishing, 2011. 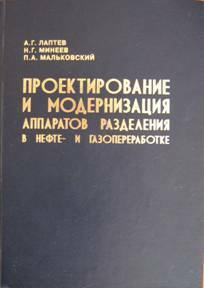 – 595 p. The monograph considers theoretical bases of mathematical modeling of heat and mass transfer processes for designing and modernization of industrial units destined for separation of homogeneous mixtures. Main equations for calculation of pressure drop and heat and mass transfer characteristics are given. 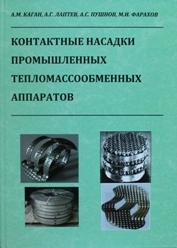 Designs of existing devices of column-type apparatuses are presented along with methods of calculation of heat and mass transfer efficiency in the apparatuses. 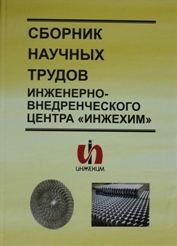 Results of experimental studies of pressure drop and mass transfer characteristics for the packing “Inzhekhim” are included. Examples of modernizations of industrial distillation towers, packed absorbers and other heat and mass transfer apparatuses implemented into chemical industry are shown. 18. 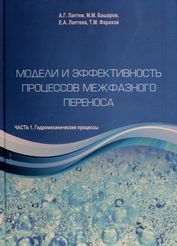 Laptev A.G. Collection of scientific papers of Engineering-Promotional Center “Inzhekhim”.– Kazan: Westfalika, 2012. 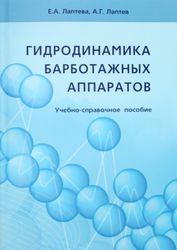 – 409 p. The book is dedicated to the 20-year annivesary of EPC “Inzhekhim” and describes the most significant scientific works accomplished within the last eight years in the fields of hydrodynamics, heat and mass transfer, treatment of gases and liquids. 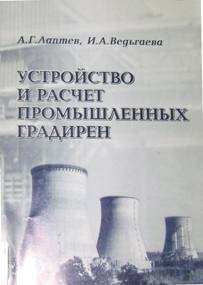 Many of the described works are dedicated to energy saving modernizations of industrial units and increasing efficiency of various processes. 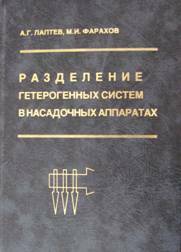 The book also holds information about scientific and production activity of EPC “Inzhekhim”, lists of published papers and defended dissertations in the fields of petrochemistry and power engineering. 26. 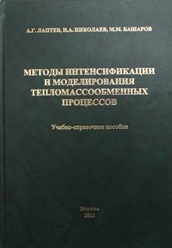 Laptev A.G., Farakhov M.I., Mineev N.G. 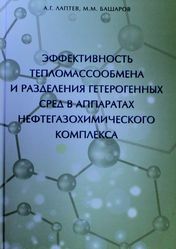 Fundamentals of calculation and modernization of heat and mass transfer units in petrochemistry.– Saint-Petersburg: Strata, 2015. 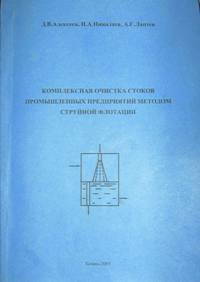 – 576 p. The monograph describes theoretical foundations of calculations for designing and modernization of industrial units destined for separation of hydrocarbon mixtures. Equations for calculation of pressure drop and heat and mass transfer characteristics are presented. New designs for contact devices and experimental results for pressure drop and mass transfer characteristics are included. Examples of modernizations of industrial distillation towers, packed absorbers and other heat and mass transfer apparatuses implemented into petrochemical plants with the energy saving effect are shown. 27. 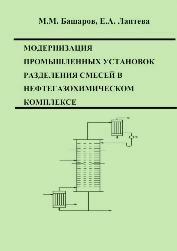 Laptev A.G., Basharov M.M. 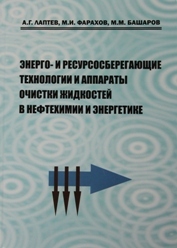 Efficiency of heat and mass transfer and separation of heterogeneous media in apparatuses of the oil and gas chemical complex.– Kazan: Center for innovation technologies, 2016. 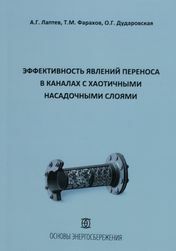 – 344 p. In the monograph, problems of determination and increase of efficiency of heat and mass transfer processes as well as separation processes in industrial apparatuses of chemical engineering of the oil and gas chemical complex and power engineering are considered. On the basis of application of models for fluids structure, boundary layer theory and turbulent migration of particles as well as using developments in the field of hydrodynamic analogy, mathematical models and expressions for determination of efficiency of a wide class of technological processes in tray-type, packed-type, vortex-type, film-type apparatuses as well as in thin layer sediment tanks, flotators and combined gas separators are obtained. 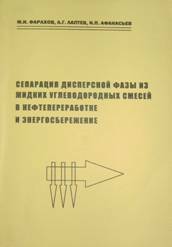 Examples of modernization of industrial apparatuses designated for removal of sulfur from gases, distillation and absorption in production of phenol, acetone and ethylene are provided. 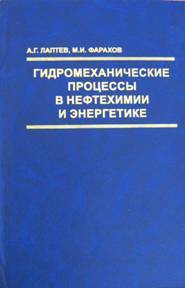 Special attention is paid to energy saving, import substitution and improvement of quality of the products. 30. 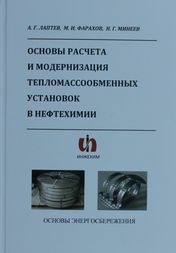 Laptev A.G., Basharov M.M., Lapteva E.A. Farakhov T.M. 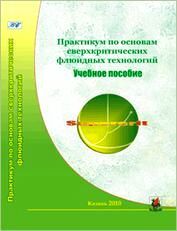 Models of interphase transport and calculation of process efficiency. Part 1. 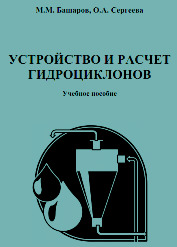 Hydromechanical processes. – Kazan: Center for innovative technology, 2017. 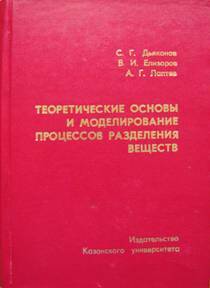 – 392 p. The monograph is concerned with kinetic characteristics of two-phase media: gas-liquid, solid-liquid, solid-gas as well as two mutually insoluble liquids. The focus is on modeling of the processes of turbulent momentum transport in the boundary layer as well as on turbulent transport of a finely dispersed phase in the gas and liquid media and on processes taking place in the bubbling systems. Mathematical models of mixing of two-phase media in channels containing various intensifiers, physical coagulation of emulsions on the surface of random packings, turbulent migration of a finely dispersed phase in aerosols, hydrocyclones, bubbling flotators and a foam layer on the trays are presented. Expressions and examples of calculation of process efficiency under various conditions of phase interaction are shown. A comparison of the results of efficiency calculations with known experimental data is given. Anatoliy Grigorievich Laptev. Doctor of Technical Sciences (D.Sc. 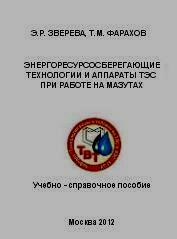 ), professor, chairman of department “Technology of water and fuel” of Kazan State Power Engineering University, Kazan, Russia.Author of more than 300 scientific papers including 8 textbooks, 23 monographs, 6 author’s certificates.Supervised 30 Ph.D. students and 3 D.Sc. students. 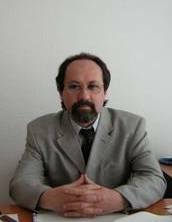 Vice-director of EPC “Ingehim” (EPC “Inzhekhim”) in charge of science.The author developed and implemented into various industries more than a hundred design projects. Nikolai Grigorievich Mineev. 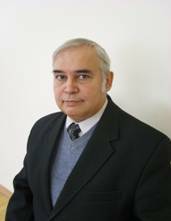 Chairman of laboratory of department “Technology of water and fuel” of Kazan State Power Engineering University, Kazan, Russia.Author of more than 50 scientific papers including 3 textbooks, 4 monographs, 2 author’s certificates.Vice-director of EPC “Ingehim” (EPC “Inzhekhim”) in charge of technology.The author developed and implemented into various industries more than a hundred design projects.